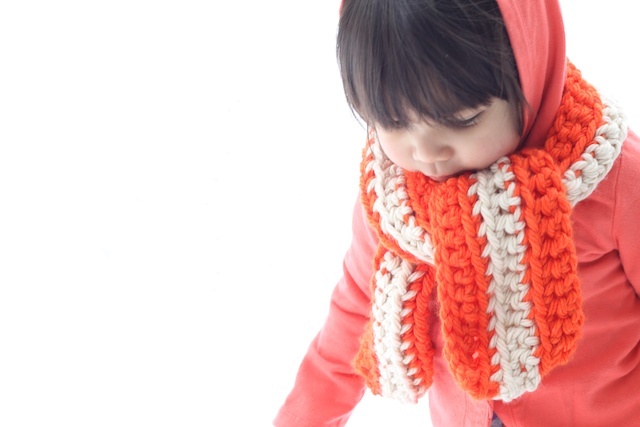 I like to think of this scarf as an orange creamsicle. Yummy. 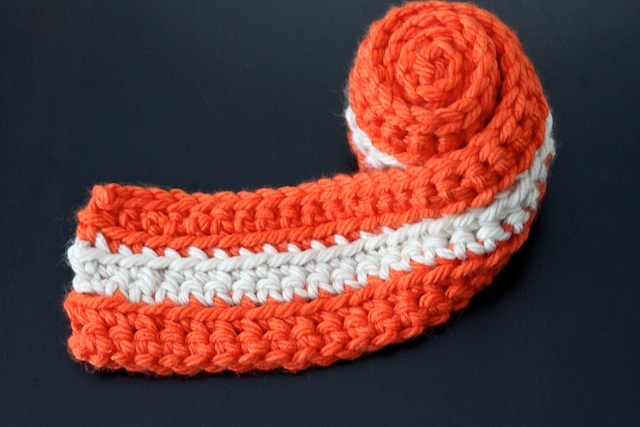 When it comes to crocheting scarves, I like to make the chunky ones using a large P hook. It is much faster to make and it looks so comfy and soft. I was using leftover yarn from the chunky pocket scarves to make one for little Elle. 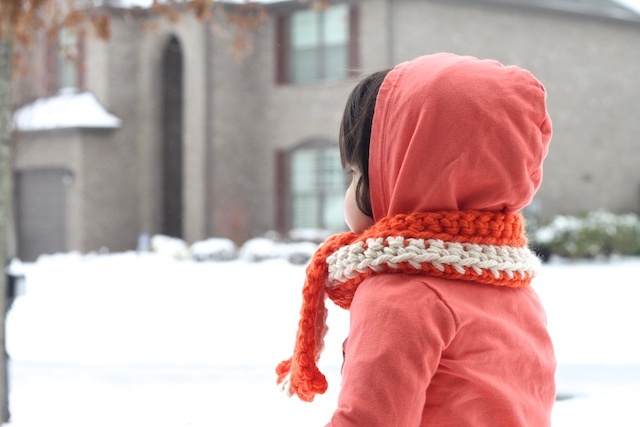 Hope you are staying warm and cozy with our week of warm and coziness. » Tell me… How do you like to wear scarves? Do you tie it or drape it around your neck? Love it! A scarf really does the trick to keep you warm outside. You have some skillz! It looks really nice. wow I LOVE the little scarf I really need to learn how to knit you have amazing skills. I like to buy/make extra long ones and tie them. It keeps my neck warmer.